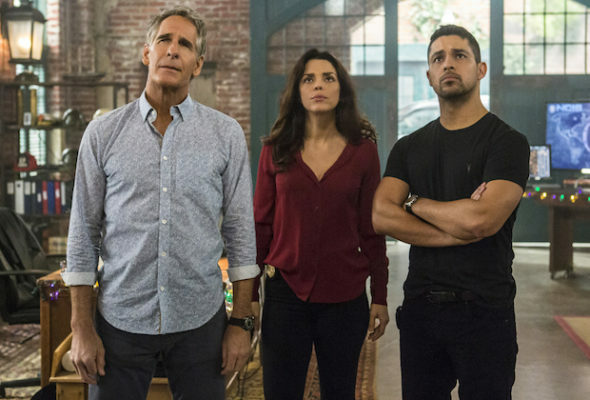 NCIS: New Orleans: Season Five Renewal Coming? What’s in store for NCIS: New Orleans? Recently, CBS announced TNT has acquired the syndication rights to the popular TV show. A spin-off of NCIS, the procedural drama centers on Special Agent Dwayne Pride (Scott Bakula) and his team at the local field office in New Orleans. Together, they investigate criminal cases involving military personnel. The cast also includes CCH Pounder, Daryl Chill Mitchell, Lucas Black, Rob Kerkovich, Shalita Grant, and Vanessa Ferlito. With NCIS: New Orleans headed into syndication, a fifth season renewal looks fairly certain for the CBS series. Not only does TNT have rights to subsequent seasons of the TV show, but ratings have been consistently strong for the past three and a half seasons. STUDIO CITY, Calif. – Dec. 18, 2017 – CBS Corporation announced today that one of broadcast television’s top dramas, NCIS: NEW ORLEANS, is airing on TNT, which has acquired off-network cable rights to the series. Making the announcement was Scott Koondel, Chief Corporate Content Licensing Officer for CBS Corporation. NCIS: NEW ORLEANS premiered on TNT in early December. TNT has the rights to the first three seasons of the acclaimed drama starring Scott Bakula and each subsequent season after the drama has aired on CBS Network. NCIS: NEW ORLEANS focuses on the local Naval Criminal Investigative Service (NCIS) field office that inquires into cases involving military personnel in The Big Easy, a city known for its music, entertainment and decadence. Leading the team is Special Agent Dwayne Pride, a.k.a. “King” (Bakula), a native of New Orleans who is driven by his need to do what is right. This colorful city harbors a dark side and is a magnet for service personnel on leave. But when overindulgence is followed by trouble, Pride’s team is at its best. What do you think? Do you watch NCIS: New Orleans? Do you want a fifth season? More about: CBS TV shows: canceled or renewed?, NCIS: New Orleans, NCIS: New Orleans: canceled or renewed? I absolutely love NCIS New Orleans. One of the best Franchises, the chemistry is just right between the actors too. Personally I would LOVE a new series and hope it is shown in the UK when its made. SOON. NCIS, Bull, NCIS New Orleans: Tuesday night “religion” in our house! yes! love this show and everyone in it!!!! !